This book is dedicated to the young, who are precious in the sight of God and in the eyes of those who are like Him. It is not written as a substitute for the wonderful books of Proverbs and Ecclesiastes, but to acquaint the young reader with some of the beauty and wisdom found in them, along with the wisdom of a few other wise men whose words are also occasionally cited. and listened a little better. We are all desperate travelers in this confusing and tormented world. Old and young, rich and poor, wise and foolish, we are all yearning and striving from the moment of our birth for true and lasting happiness. This longing for real happiness induces all people at all times to do whatever they do. It drives treasure hunters as well as thieves to risk their lives for gold; it inspires astronauts to circle the earth, and it motivates lazy bums to beg for coins on the street. The irrepressible human longing for happiness constrains people to buy their homes, to go to work, to sleep late or to rise early, to study or to play games, to invent new materials or to vandalize masterpieces of construction and art, to love and nurture or to hate and kill, to write books or to climb mountains, to become martyrs or to conquer empires, to trust in God or to deny His existence. You are reading this book as part of your own pursuit of happiness, and you will soon decide either that it will help you obtain it and, so, keep reading, or that it will not help you and, so, lay it down. You want to be happy; everybody does. When you as a newborn cried in your mother’s arms, you cried because you wanted to be happy. Even now, after all these years, that same yearning for happiness is leading you to do whatever you do and to say whatever you say. You have chosen the path you are on because you believe that it is a path that will eventually lead to happiness. But will it? Nothing means more to you than finding the answer to that question. 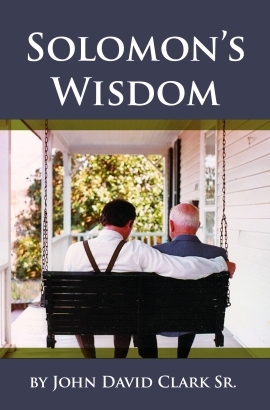 In this book, you will not find mysterious or pontifical pronouncements, for Solomon’s wisdom is not philosophy; rather, it is an ability to perceive and to describe the simple, common-sense life that leads to lasting happiness. One reason most people never find lasting happiness is that they search for it down esoteric paths, complex and sophisticated ways that flatter their ability to perceive and navigate them. Courage is required to believe that true happiness is found only in the peaceable, clean life to which our Creator calls us. That is the secret pathway to happiness, and those who learn this become “wise”. The secret pathway to eternal happiness is the pathway that is called Wisdom. During any given time in human history, the vast majority of humans can be found pursuing happiness in wrong ways, but all roads except the right one are dead ends. I feel certain that most people decline to take the path of God’s wisdom, not because they do not care – everybody has chosen a path, everybody is making an effort – but simply because we humans tend to trust our own desires rather than God’s guidance when it comes to choosing a way to live. But in choosing to go our own ways, we are in fact seeking happiness apart from our Creator, although in reality such happiness does not even exist. The beginning of our journey to happiness begins with the understanding that there is a way that leads to lasting happiness and that the way to lasting happiness must be revealed to us by our Creator. To help young adults find that hidden pathway is the primary purpose of Proverbs and Ecclesiastes, and of this book as well. All of us at one time or another have been fooled into laying down our burden of doing good in the vain hope of being more quickly rewarded by doing evil. An ancient servant of God wrote, “All we like sheep have gone astray; we have turned every one to his own way.” And another servant later agreed, saying, “All have sinned and come short of the glory of God.” What both of these wise men understood (though neither of them said it in these words) is that people who search for happiness on wrong pathways do so because they do not believe that the right pathway will take them there. The “wise” are those who dare to walk in the way that leads in eternal happiness. They have labored to know what is right, and they have come to understand that there is no such thing as a short cut to happiness, in spite of much earthly propaganda to the contrary. The difference, then, between the few who find eternal happiness and the multitudes who do not is simply the choices made between doing God’s will or our own; that is, doing either good or evil. But what is God’s will? It is a simple way of living which, despite its simplicity, seems exceedingly difficult for young people to grasp. Solomon offers his wisdom to guide the young to that hard-to-find pathway. The struggle to persuade the young to take the right path is a desperate one. There is a titanic battle constantly raging between good and evil men to win young hearts, a battle in which Solomon was fully engaged. His proverbs, being directed chiefly toward the young, will especially profit them if they receive his wisdom and follow his guiding light. At the same time, the deceitful efforts of evil men for converts to their ways are also directed chiefly toward the young and will especially harm them if they believe their lies and take the wrong path. It is in the trenches around the hearts of young people that the most desperate and unrelenting spiritual battles have always been fought. This book is only a small part of that continuing warfare for the hearts of the young. Your life is your own. Your choices and the results of them are yours alone. Wise men who show you the right path will not reap your reward from God if you walk in it, and fools who would lead you down a wrong path will not bear your judgment from God if you follow them. Your heart’s sorrows and joys are your own, so choose the kind of life that will bring you true and lasting happiness. If at any point you are discouraged in your pursuit of happiness because someone disapproves of your walking in the right way, you do not have much strength in your soul – or much good sense in your head. This is a restless world, a world in which there is no peace, except in the hearts of those who are on the right path. It is a universe of ceaseless, futile effort. There is no rest, no peace, to be found anywhere in this creation. Even beneath the earth there is no rest, for just as men’s eyes never grow weary of seeing, so hell is ever greedy and restless for more souls; my son, do not let your precious soul be one that is sacrificed to its burning desire. Where there is no revelation from God, people search for happiness in all the wrong places and then die without hope of obtaining it, but whenever one hears God’s loving voice and trusts it, he is shown the secret pathway to happiness that this world vainly pursues and can never find. Such was the instruction Solomon gave to his children and recorded for the benefit of all young people. Solomon’s deep love for the young and his profound wisdom from God shine through his wise sayings as clearly in our day as they did three thousand years ago, when they were first spoken. It is my prayer that our Creator will cause these seeds of truth to burst into life within every young heart that reads them.